I looked back and at many of my previous blog posts and realized that in a huge amount of them I'm wearing a necktie. I wear a tie almost everyday, after all it is the accessory that no well dressed man can do without, however, I know that not all men love neckwear as much as I do. I’ve decided to wear a more casual outfit today to show my readers that you don’t need a tie to look stylish. My advice on making a casual outfit stand out from the rest is to try to incorporate a print into the look such as what I did here with my paisley pants. The print is faint but still adds a nice detail to the look. Adding a few accessories is also a good way to step up your casual wear game. 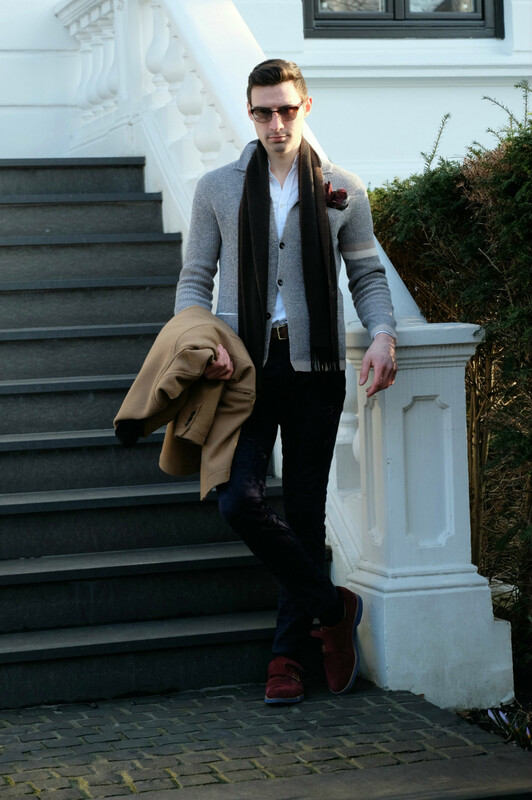 By simply draping a scarf around your neck or tucking a pocket square in your chest pocket your outfit will look much more put together. My last and most important tip is to wear a great pair of shoes. We’ve all heard the saying “shoes make the outfit” and this can not be more true. 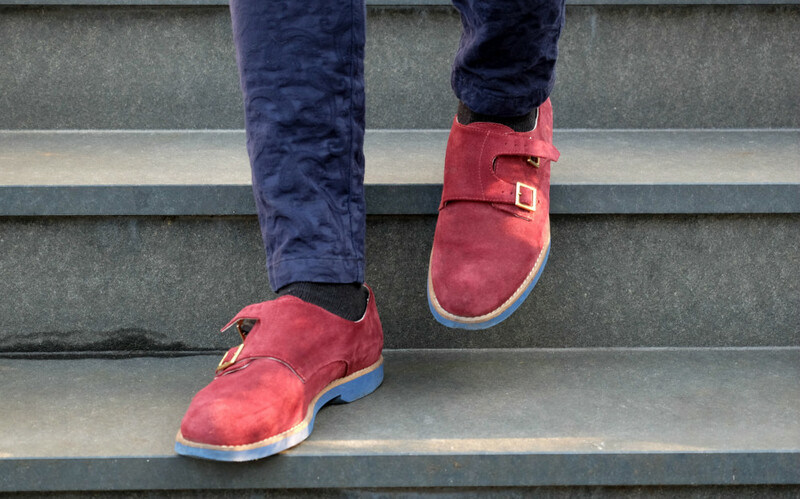 Try wearing an interesting style such as the monk strap or a colorful shoe or even something with a pattern in it. The shoes you wear are up to you, but just make sure they are clean and weather appropriate and you will be looking great all day long. Your shoes are fabulous...and I completely agree with you on the point that shoes make the outfit. Quite often, they really do. I remember once a friend of mind ditched her date because she hated his shoes. It was not proper dating, it was back in High School but it got me wondering how terrible were those shoes? They must had been pretty loud and quite awful. Anyhow, I do really like your look...it is indeed very stylish and well put together. Personally, I love to see ties, but yes, even without them one can look quite polished. I love your style Justin, but your accessories always play a great game!!!!! Very cool cardie Justin! I love the detail of the scarf! So chic! You definitely look quite dashing! I love the shoes and how polished this whole outfit looks. I love this casual look on you- you are always so put together and stylish! You could pull off anything!! 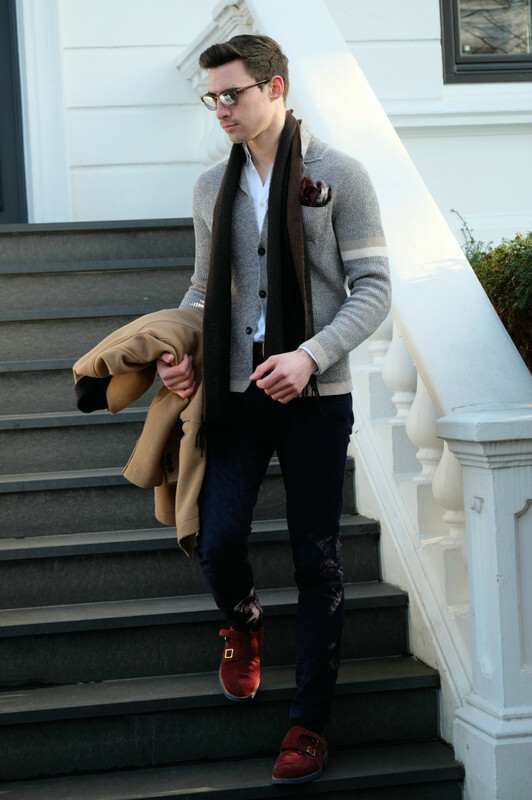 I can feel the Londoner style in this look! Do your boots have velvet texture? I love them! 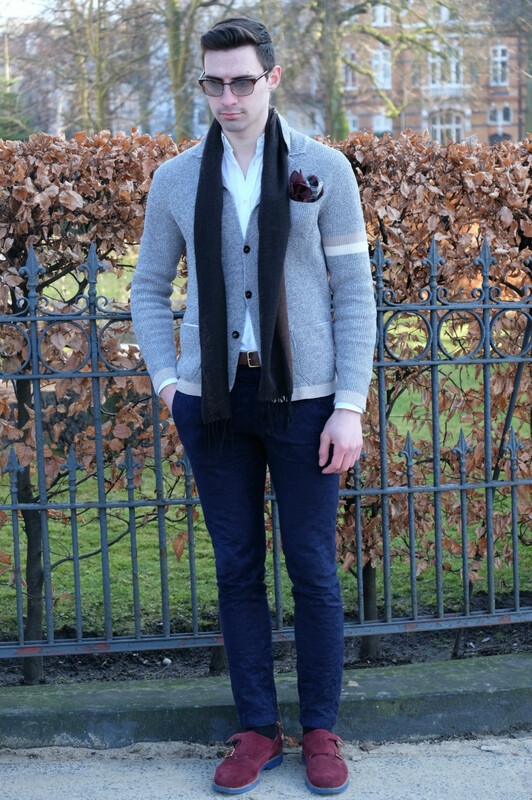 Love the pocket square on the cardi... great hair! 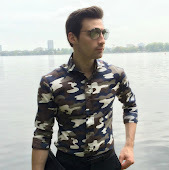 I don't follow many male bloggers but I honestly have to say you're my favourite by far. Your sense of style surpass many, hell, it's way better than mine for sure. Love the outfit and love the dressing tips more. Great style! Your cardigan is a must! The pocket square stood out to me! Stylish and classy look! Great job as always! Nice shoes! Love paisley pants and simple styled scarf, you look so well in casual style! You look great. Love the shoes. Nice outfit, totally in love with the shoes! Very very nice! 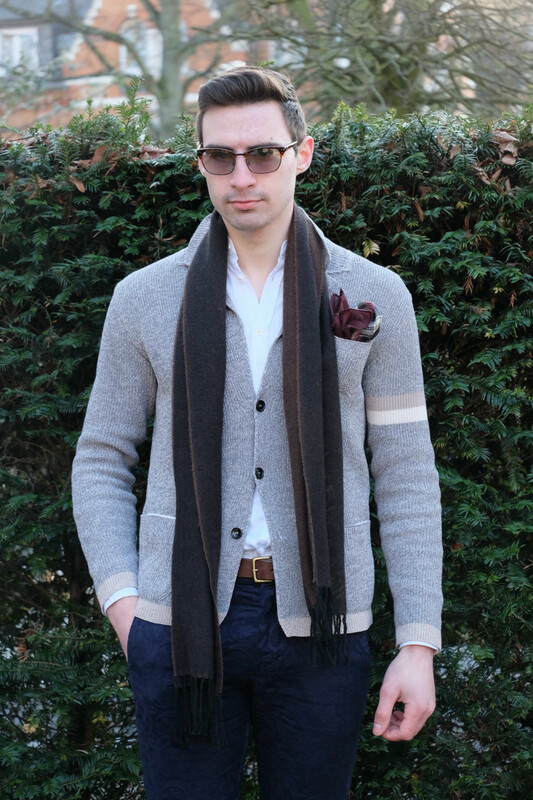 Never seen a cardi with a pocket square before, but it looks awesome! 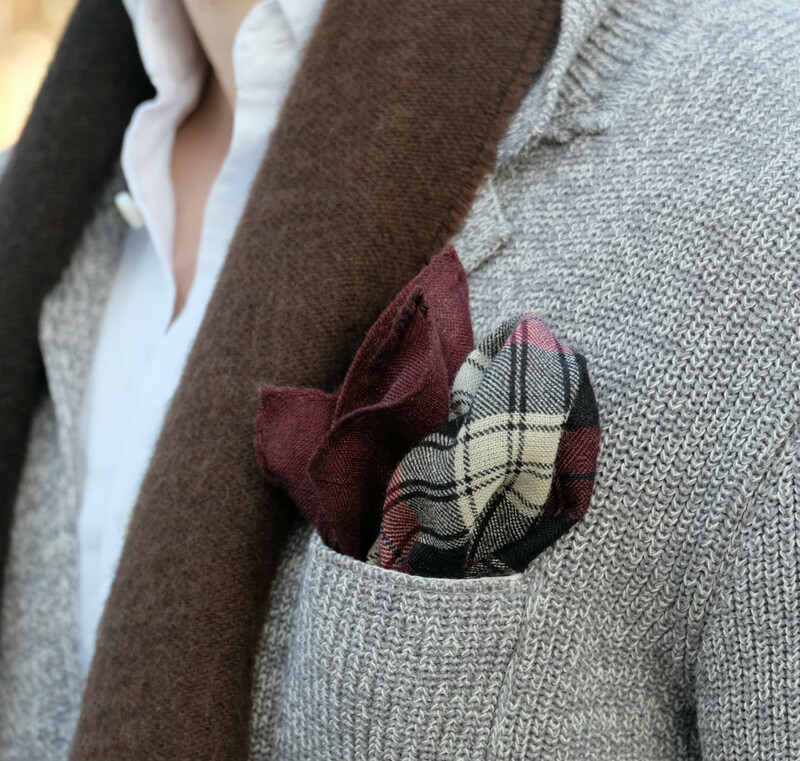 Love the touches of burgundy - great look! Perfect look, love the detail in the pocket and the shoes!